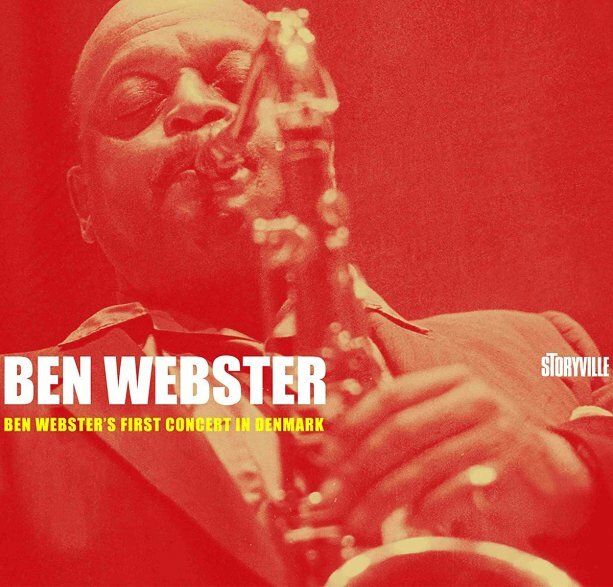 The Danish scene provided tenor legend Ben Webster a great home in later years – around the same time that Copenhagen was an important spot for Dexter Gordon, Johnny Griffin, and other American players too! This set marks Ben's first performance on that scene – and is well-captured by Danish Radio, who recorded the whole thing in Copenhagen – with Webster backed by the same trio who also accompanied both Dex and Griff on other records – Kenny Drew on piano, Niels Henning Orsted Pedersen on bass, and Alex Riel on drums. The tracks are maybe a bit shorter than some of Gordon's longform workouts from 60s Copenhagen – but still have Ben blowing with more space than he'd had in years in the studio – working that wonderfully raspy tone through versions of "Blues In B Flat", "In A Mellotone", "Cotton Tail", "Over The Rainbow", and "Pennies From Heaven" – as well as an interesting rehearsal at the start. © 1996-2019, Dusty Groove, Inc.